This is a map and list of startup and tech companies in the San Francisco Bay Area that use Marketo for their Digital Marketing and Marketing Automation efforts. These are companies in the Bay Area that use Marketo as part of their marketing and marketing automation tech stack. 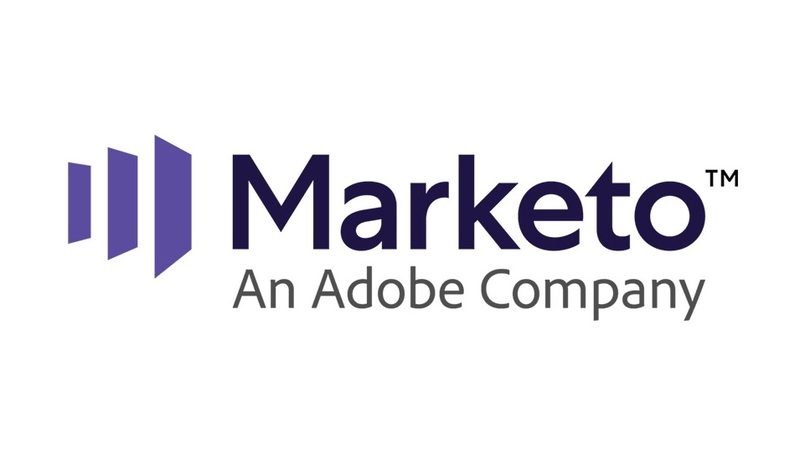 Marketo is a public company, owned by Adobe that builds Marketing Automation software. Digital Marketers use Marketo to set up campaigns, email marketing, landing pages and all sorts of things. I have not used Marketo myself, but recruited for it heavily when I was an agency technical recruiter. Marketo can be a complex product with tons of functionality. The companies on this list below have or are hiring Marketo experts to grow their B2B or B2C digital marketing campaigns. It's common to find Marketo integrated with Salesforce and used as a way of tracking Marketing Qualified Leads (MQLs) or Sales Qualified Leads (SQLs). Alternatives to Marketo include Eloqua by Oracle, Pardot by Salesforce or Hubspot for some of the same functionality. If you have not used Marketo before but are interested in learning, here are a few resources to get you started! Showing 75 Bay Area companies that use Marketo. Our digital platform brings simplicity and transparency to consumer lending. CircleCI allows teams to rapidly release code they trust by automating the build, test, and delivery process. Enrich sign-ups, identify prospects and gain customer insights — all with data from Clearbit. Collect guest information, capture their photos and have them sign legal documents—all on the iPad. Get the real-time insights that your software-driven business needs to innovate faster. Bring the power of data science to BI with an advanced analytics platform that delivers deep insight in hours — not weeks or months. Your business relies on the Internet — thousands of networks you can't see. Time to open your eyes. At AT&T Cybersecurity our mission is to provide phenomenal threat intelligence, collaborative defense & effective security for organizations of all sizes. BlueJeans Network is the most advanced way to enable video conferencing in the workplace or on the road. Our goal is to make video as easy and pervasive as audio communications and create visual experiences that people love. CoInspect App is an all-in-one solution that offers food safety compliance, brand standard audits, supply chain audits easily. Request a FREE Demo. Free online calorie counter and diet plan. Lose weight by tracking your caloric intake quickly and easily. Find nutrition facts for over 2000000 foods. Benevity's goodness platform empowers socially conscious brands to make a real difference. Learn how we can make your giving programs great. Increase mobile revenue with enterprise-grade links built to acquire, engage, and measure across all devices, channels, and platforms. Discover and learn with the world's brightest professionals. Carta (formerly eShares) is an ownership and equity management platform trusted by thousands of founders, investors, and employees. Get business VoIP with Dialpad and connect your team with a cloud phone system that makes business communications easier and more efficient. Combine your front and back office on one platform with the top cloud ERP software apps built on Salesforce. Gainsight's Customer Success Software empowers companies to increase revenue, decrease customer churn, and drive advocacy. GoodData goes beyond traditional business intelligence and analytics delivering insights at the moment of action to drive better business outcomes. Jobvite is the leading best-of-breed recruiting software that helps thousands of companies source, hire, and onboard top talent. Modern, all-in-one investment management for real estate. CRM, data room, online closing, automated investor reporting, investor portal, compliance. Get more done, faster, with team collaboration and messaging that deploys to cloud infrastructure under IT control, as well as on-premise. MuleSoft provides the most widely used integration platform (Mule ESB & CloudHub) for connecting SaaS & enterprise applications in the cloud and on-premise. Redefining the real estate transaction. Qualia is a team of top software engineers, real estate professionals, and user experience experts who are improving how real estate is transacted. Powerful mobile employee scheduling. The Skedulo scheduling platform is built for the field and designed with your team in mind. Use Skedulo to resolve scheduling conflicts, assign jobs, optimize travel routes, track productivity, and communicate in real-time. SnapLogic's iPaaS platform empowers enterprises by automating application, data and cloud integration. Reach digital business transformation with SnapLogic. Auctions live online. Tophatter is the world's most entertaining live auction site featuring unique items at exclusive prices. Buy now or save more at auction. Meet the #1 rated phone solution for sales teams who track, analyze, and coach on their customer conversations. Manage cameras from an easy-to-use platform and access footage remotely. Free 30-day trial. Simple, secure and scalable enterprise security camera system. That's all the companies we've added that use Marketo so far! Does your company in the Bay Area use Marketo? Feel free to fill out this form to be included on the list! Do you work with Marketo and interested in making a career change? Create a candidate profile on Employbl to get connected with new Marketo and Marketing Automation opportunities.